This is another of the seasonal recipes I adapted from last month's BBC Good Food magazine. A few weeks ago Nik had come home with some seriously reduced venison steaks from M&S for just £1.50 as they were going out of date. He'd eaten his when I was out one night so I took mine out of the freezer when he we was working nights. Season the venison steak with plenty of pepper and a little salt. 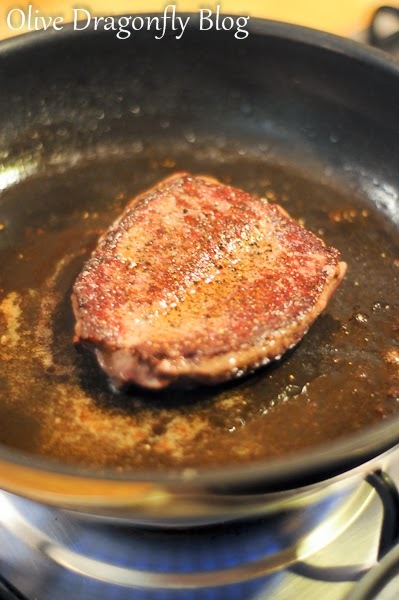 Heat the oil & butter in a frying pan until foaming, then cook the steak for 2 mins on each side for medium rare (or longer to your liking). Remove from the pan and keep warm. 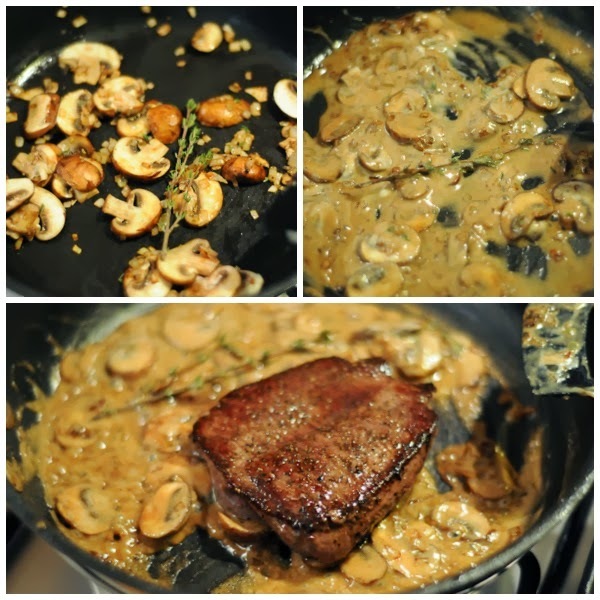 In the same pan, fry the shallot until soft then add the thyme and mushrooms and cook until browned. Splash in the sherry, balsamic vinegar and creme fraiche. Simmer down to make a thick sauce and then put the steak and juices back in the pan and spoon the sauce over the steak. Remove the sprigs of thyme and serve with mash & vegetables (I had it on it's own as I wasn't very hungry). I really enjoyed it! 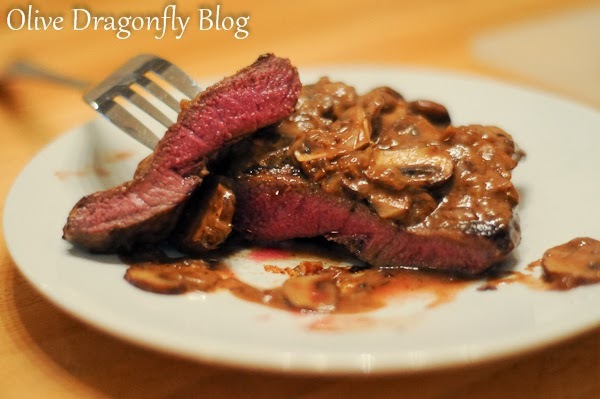 Like I said before, I've tried venison before and never really been a fan but I've never had venison steak and it wasn't as gamey as I expected and went beautifully with the mushroom sauce.